Good morning, dear tea friends! I’m so sorry for missing my tea post last week. Last Friday night, my basement flooded with 4 feet of water from a tremendous rainstorm, and I lost power and heat. In fact, I still don’t have heat but the good news is that will be fixed this week. 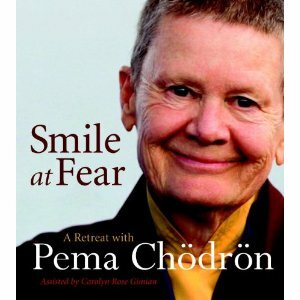 Going through an experience like this, all I can say is – thank goodness for tea!!!!! This morning’s cuppa is a lovely black tea from the Temi Estate in Sikkim, a state in northeast India just north of Darjeeling. Originally a Sherpa village, the Temi Tea Garden was established by the Sikkim government in 1969 and is the only tea estate there. Its gently sloping hills cover about 440 acres. I steeped the leaves for 3 1/2 minutes in boiling point (212F) water. As the tea steeped, a rich fruity fragrance emerged from my glass teapot. 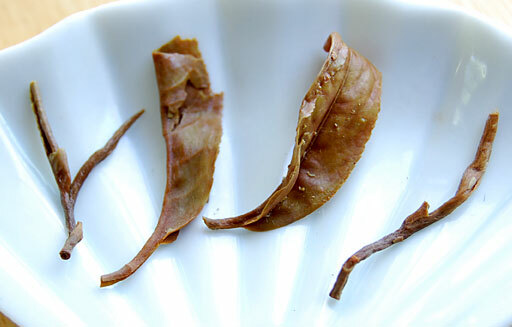 The leaf is tippy and infuses to a gorgeous dark amber color, much like a second flush Darjeeling. The cup is brisk yet sweet with notes of honey and fruit. It’s rich enough for a dash of milk. A hot cup of tea is so welcome in a chilly house! Until next time, enjoy your tea and have a Happy Halloween! After a night of pouring rain, the clouds have cleared away and the world outside is freshly washed with sunshine. As I was taking the photos of my tea this morning, I was amazed to see how the beautiful color variations of the dry leaf are very reminiscent of the beadwork I’m doing on my March journal page. I’m creating a twisting tree trunk in browns, silvers and greens and will post a photo very soon of my progress. 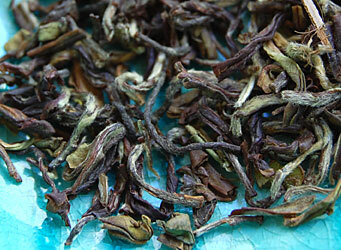 So, on this dazzling Saturday morning, I’m sipping a cup of Sikkim black tea from the Temi estate. The Indian state of Sikkim is located slightly north of the Darjeeling district. Since its location and climate is very similar to Darjeeling, teas produced in this district taste very much like a Darjeeling tea but I find that they are softer without that characteristic astringent “bite” that a Darjeeling can have. The steeped leaf reveals some whole intact leaf along with tightly curled new growth, the whitish tips of the plant. The abundance of white tips lend a gorgeous silvery cast to the dry leaf. The liquor is a medium amber color with a whisper of a floral aroma. The taste is fruity and floral all at once with a silky softness. Darjeelings are considered the “champagne of teas” and there is no doubt to their unique status in the world of tea. Every Spring I look forward to the arrival of the first flushes with great anticipation. That being said, I think that this first flush Sikkim is a wonderful choice, exhibiting the same aromatic nuances as many first flush Darjeelings I’ve tried in this range. 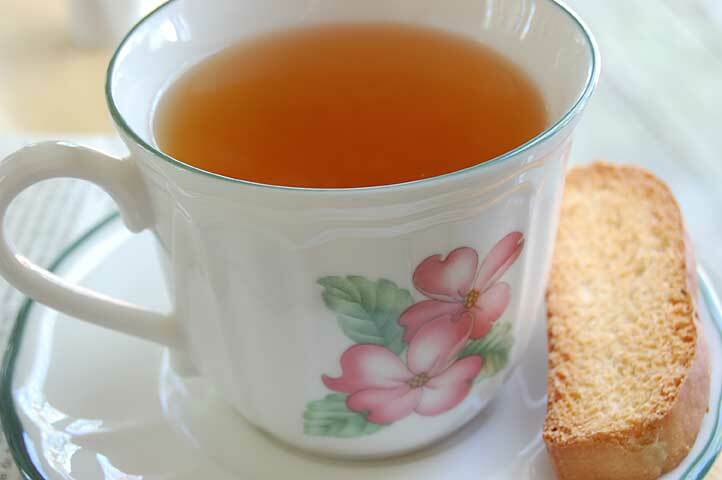 I am enjoying my tea with a piece of Zwieback toast. This toast is well known as a teething biscuit for babies and this is how I discovered it when my children were young. After sharing it with 3 babies, I’ve developed a taste for it’s crunchy texture and lemon-y cinnamon flavor myself. It’s a great snack to have with tea because the flavor is very mild and the texture clears your palate for the next cup of tea.